Less than a week before leaving office, California Gov. 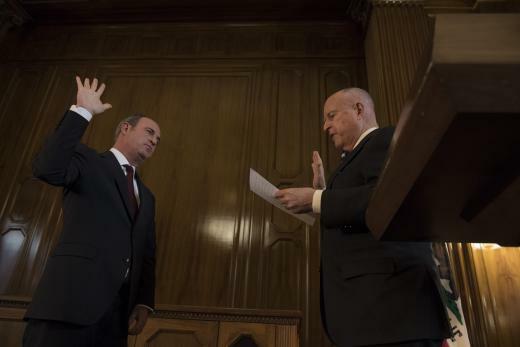 Jerry Brown made his final judicial appointments, filling 12 open trial court seats. “Like many of the approximately 600 judicial appointments Brown has made over the last eight years, the latest batch of soon-to-be bench officers is ethnically diverse and includes many women (nine) and Democrats (10),” The Recorder at law.com reports. The appointees include Clifford Blakely Jr. and Karin Schwartz in Alameda County; John Devine in Contra Costa County; Vedica Puri to the San Francisco Superior Court; Nicole Isger in Santa Clara County; Terrye Davis in Solano County; Heather Mardel Jones in Fresno County; and Maria Cavalluzzi, Gail Killefer, Pamela M. Villanueva, David Yaroslavsky and Jennifer H. Cops in Los Angeles County. Brown’s full announcement is posted online.